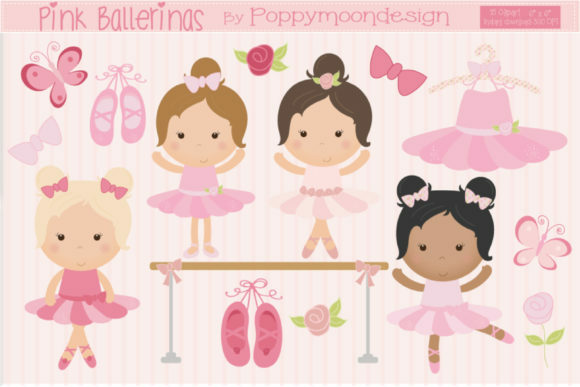 A very cute pink ballerina clipart pack, using a sweet pink palette. Perfect for party invites, scrapbooking, greetings cards and all your ballerina themed crafting. Coordinating papers can be purchased separate .